Every year, changes are made to the tax code that affects how you file. That may mean that a tax break is available for a temporary time, or it may mean that the amount of certain exemptions or deductions have changed. Even minor changes can make a big impact on how much tax you must pay, so it is important to stay aware of changes when they are made. Working with a good Cave Creek accountant or tax attorney can help you understand changes that impact you. However, here are a few that you need to know about right now! Most years, the deadline to file your taxes is April 15. However, this year, you’ll have a few extra days as the filing deadline is April 18. The reason is that the federal government celebrates Emancipation Day in Washington, D.C., which falls on April 15 this year. The 15th is a Friday, so the next business day is the 18th. People who live in Maine, Massachusetts or other states that celebrate Patriots Day will have another day to file. Patriots Day falls on April 18, so those residents will have until April 19 to file. Once the Affordable Care Act went into effect, everyone was required to have health insurance. Those who did not would have to pay a tax penalty. This year, the penalty has risen to 2 percent of household income or $325 per adult and $162.50 per child. The maximum penalty was $975 per family. That’s an increase of $95 per adult and $47.50 per child, or $285 for a family maximum. You may also owe money if you received a subsidy but underestimated your income. You could get a refund if you overestimated your income. You can get around paying the penalty by showing that you could not afford health insurance. Some changes will benefit taxpayers. For example, the personal exemption rose from $3,950 to $4,000. That’s not a huge increase, but it will certainly help out taxpayers who are in a lower income bracket. The personal exemption is the amount deducted from the income of each person on an income tax return, which lowers their tax obligation. The alternative minimum tax was implemented to ensure that everyone pays at least some tax. However, there are ways to avoid it depending on your filing status and what deductions you claim. The formula for determining AMT is complex, and it is best left to a tax professional. This year, the AMT exemption has increased to $53,600 from $52,800 for individuals and to $83,400 from $82,100 for married couples filing jointly. If you drive your vehicle for business, to go to medical appointments, or to do charity work, you can deduct your mileage. You will need to keep a log of your mileage, including the dates and the purpose of the trip. This year, the mileage rate went up to 57.5 cents from 56 cents for business purposes. The rate for medical trips or moving actually went down a half cent to 23 cents. The mileage rate for doing charity work is 14 cents. Temporary tax breaks are often introduced to stimulate the economy, and they are usually reviewed year to year to determine if they are still needed. This year, many temporary tax breaks became a permanent part of the tax code. A tax break to cancel the debt on a home was extended this year but not made permanent. The tax break allows homeowners to forego paying income taxes on debts for a primary residence that were forgiven. Typically, these homes were part of a short sale or were damaged by a natural disaster. This tax break was extended through the end of 2016. Of course, if you experience any lifestyle change, that is going to change your taxes. If you are married, divorced, have a child, adopt a child, buy a house, sell a house, buy or sell a business, or have major medical expenses, your tax obligation will change. You may be subject to new tax obligations both in Cave Creek and at the federal level. 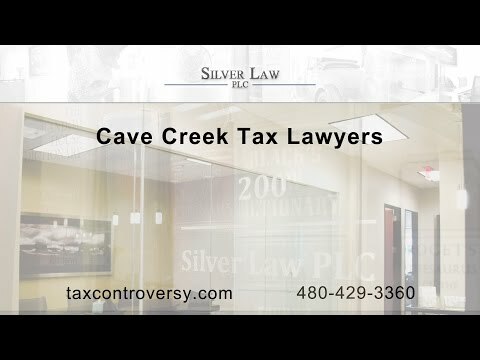 As with any other tax issue, the best way to understand your obligation is to talk with a Cave Creek tax attorney. Working with a tax professional can walk you through changes in your taxes as a result of your lifestyle changes or a result of law so that you can minimize your tax obligation and avoid any fines or other penalties. A tax attorney from Silver Law PLC can help if you are facing tax litigation, an IRS audit, or tax collections. These are complicated legal issues that require the help of experienced counsel, and our attorneys will work diligently to help you minimize or avoid penalties. Call us today to learn more about the services we offer or to schedule a consultation about your tax case.